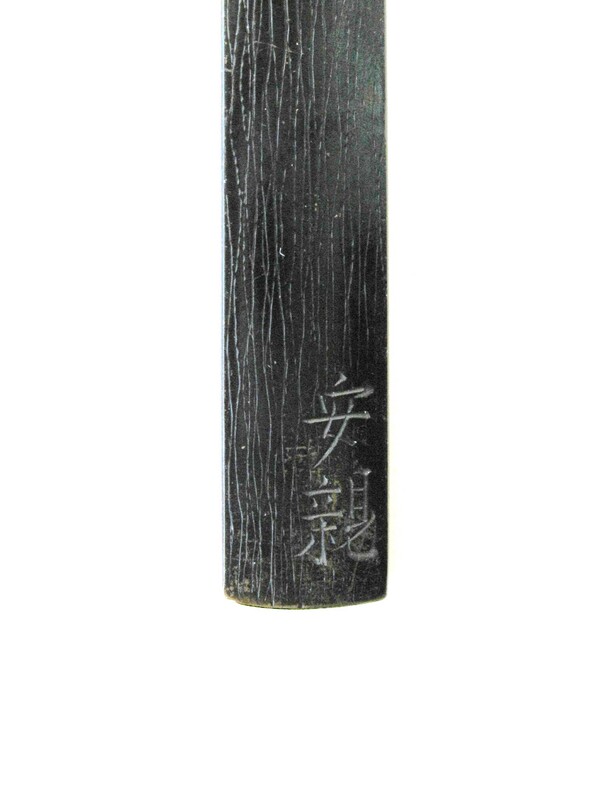 "This kozuka appears to be of shibuichi plate which now has a black lacquer surface that is probably original to the piece. 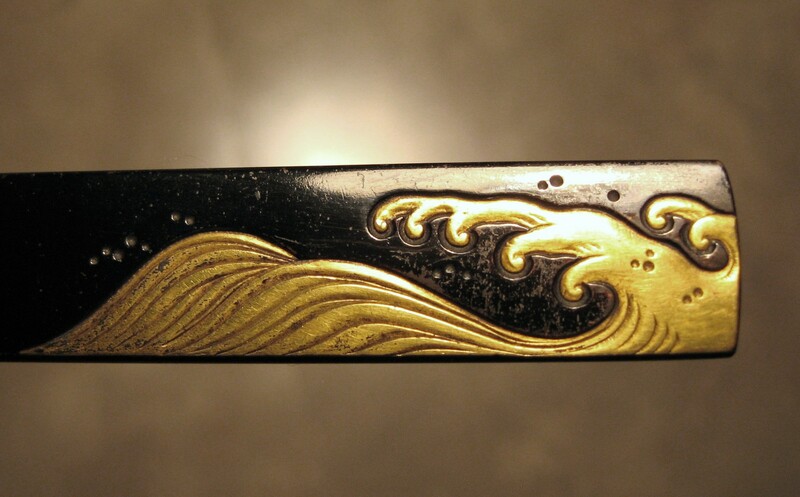 The upper area is carved and inlaid with bold gold waves. 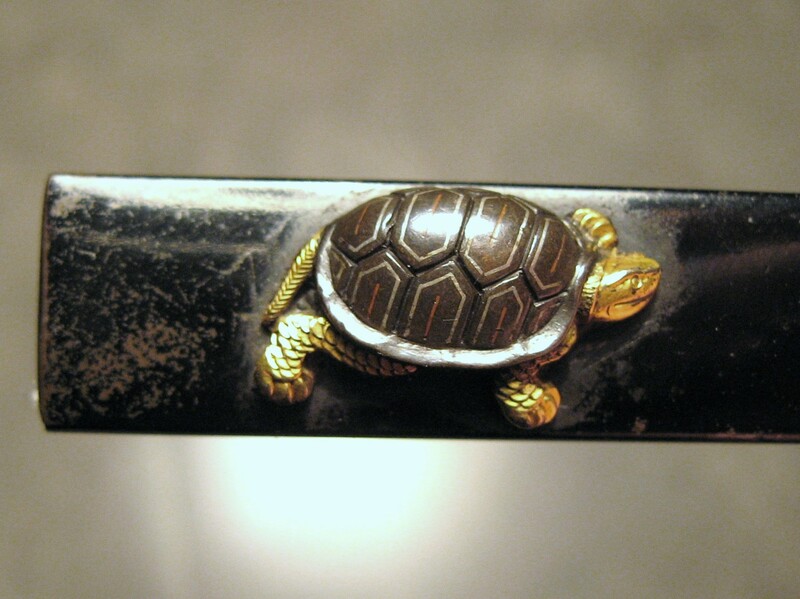 The lower end is inlaid with an almost three dimensional mino-game, a sea turtle. The carapace of dark shibuichi and each section outlined in very fine silver wire flush inlay. The body is gold plate and carved in great detail. 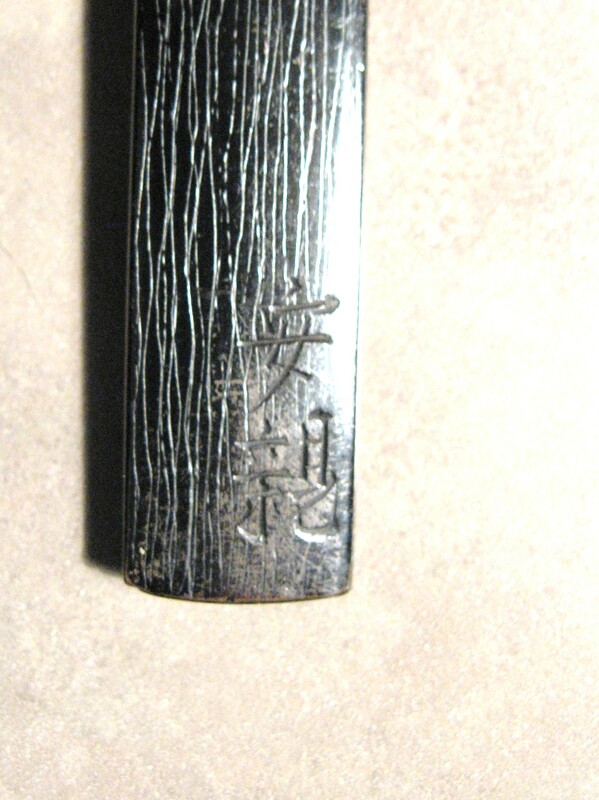 The reverse is carved with fine line "rain marks" following the vertical form of the plate. Bottom right is the signature: 'YASUCHIKA' (see H 11104.0). 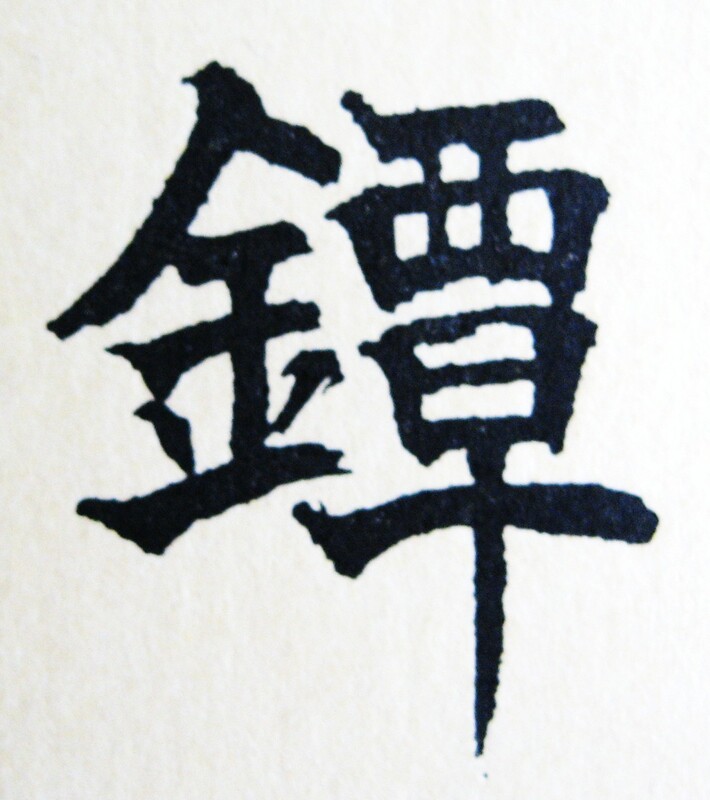 This is the signature of the "First Yasuchika". His signature has been exhaustively studied and it is illustrated in numerous books. The main points to notice are the size of the kanji, large and bold, and the power of the strokes. Though there are thousands of forgeries of this signature, when you see the real thing it will stand out to you. 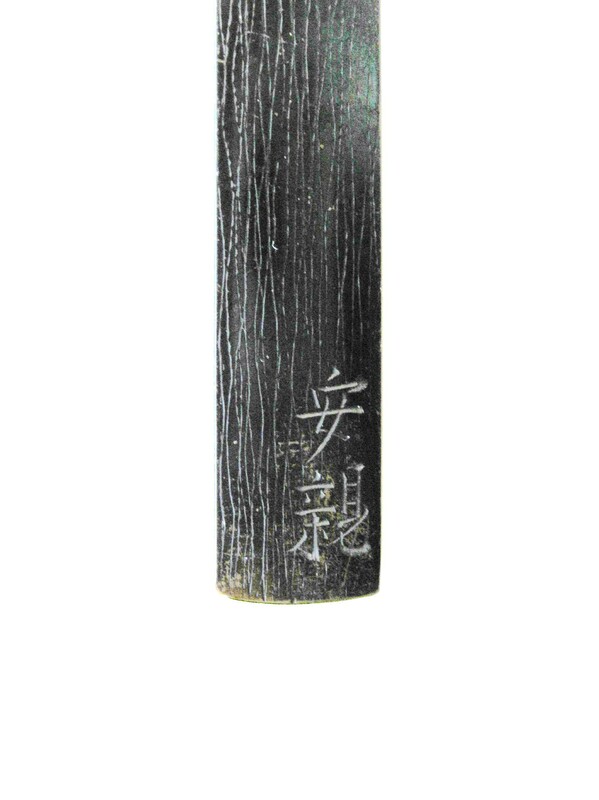 If you would like to know more about any Tosogu item, or if you are considering a purchase, please Email elliott@shibuiswords.com telling me (Elliott) where you are and what pieces interest you. Orders from outside the US can be paid with International Postal Money Orders, checks in US dollars written on a US bank, Western Union transfers, or Bank Wire transfers. Contact Me (elliott@shibuiswords.com ) for details. I can give you a quote on shipping and insurance costs, once I have received your mailing address.